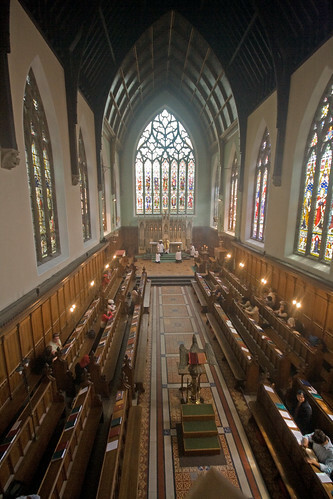 The Latin Mass Society's annual Day of Recollection takes place in St Edmund's College Ware, which has the only (yes the ONLY) Pugin chapel in the country not to have been 're-ordered'. The retreat begins at 11.00am and will be preached by Fr Armand de Malleray FSSP. High Mass (Extraordinary Form) will be celebrated at 12 noon. The cost of the Retreat will be £7. Sorry! It's in there now. Sat 19th July.